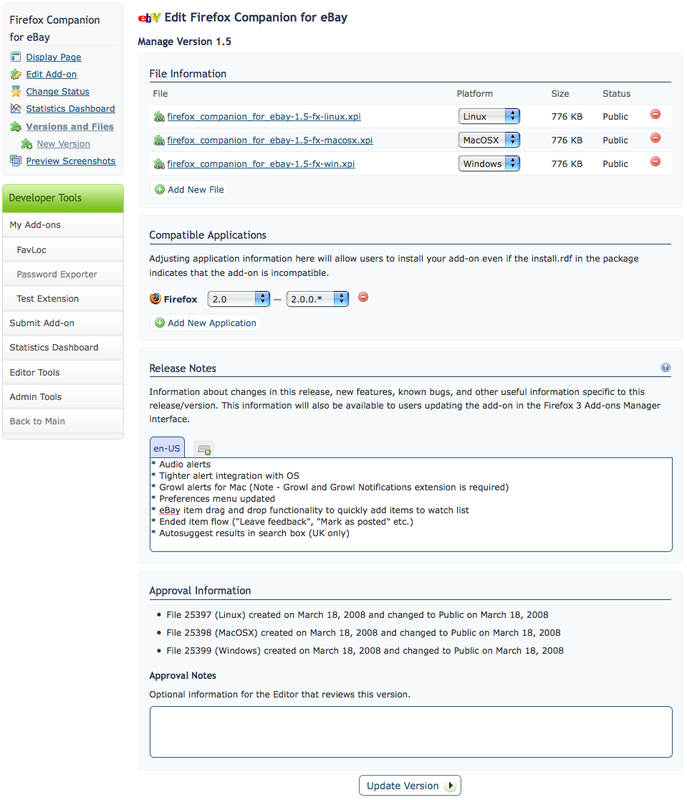 Ability to add and remove target applications, where previously you could only change the minVersion and maxVersions of existing target applications. Feedback/Comments/Suggestions? Comment on this post or in the bug.